The college has approximately 170 members on its academic staff and operates a successful independent study programme, where senior (final) year students work on a substantial body of work as a final year project (often a thesis) on a one-on-one basis with an academic member of staff. There are 16 residence halls on campus, while most of the students reside in the college’s 30 programme houses. An art museum may also be found at the college. It was established to compliment and aid art courses at Wooster, and has been functioning since the 1930s. As well as this art museum, the college has a library made up of three branches, namely Andrews Library, The Flo K. Gault Library, and the Timken Science Library. Additionally, there is a music library at the Scheide Music Center. The school has many associations, such as being a member of the Great Lakes Colleges Association, The Five Colleges of Ohio, and the Association of Presbyterian Colleges and Universities. Wooster was an incredible experience for me, both socially and from an educational perspective. The small, tight-knit campus made it feel like a small family and I made a lot of friends through activities from tennis to theatre shows. As a liberal arts college, it provided me the opportunity to explore different areas of study in my first two years, giving me a range of skills from different subjects. Their unique Independent Study program was a fitting culmination to my four-year journey, where I spent my final year developing, writing and defending my thesis with the support of an allocated faculty advisor. My Wooster experience shaped my post-graduate life and I would definitely recommend it to anyone. If you're the owner or representative of The College of Wooster, you can claim this University and build a better profile. 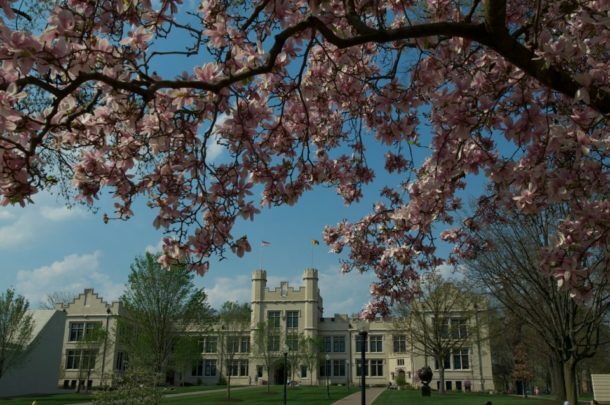 Interested in studying at The College of Wooster?